A Bahamas wedding on the beautiful beaches of one of our 700 islands and cays is what most couples travel miles to experience. Katerina and Simonas of Latvia were no exception. 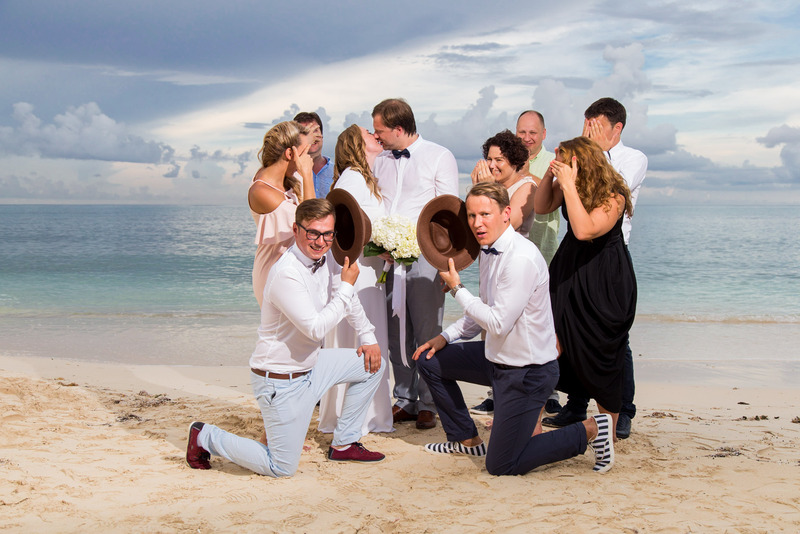 This couple and eight friends journeyed to The Bahamas for a Nassau beach wedding on our shores just before sunset. The couple wanted an intimate experience. To bond even more, Katerina, Simonas and their eight friends travelled throughout New York and New England before journeying to Nassau for the big day. The couple had arranged accommodations at a beachfront multi-bedroom house in East Nassau. They loved it! The big day arrived. We met mid-morning over coffee. Katerina was pampered and had on location beauty services of hairstyling and makeup. 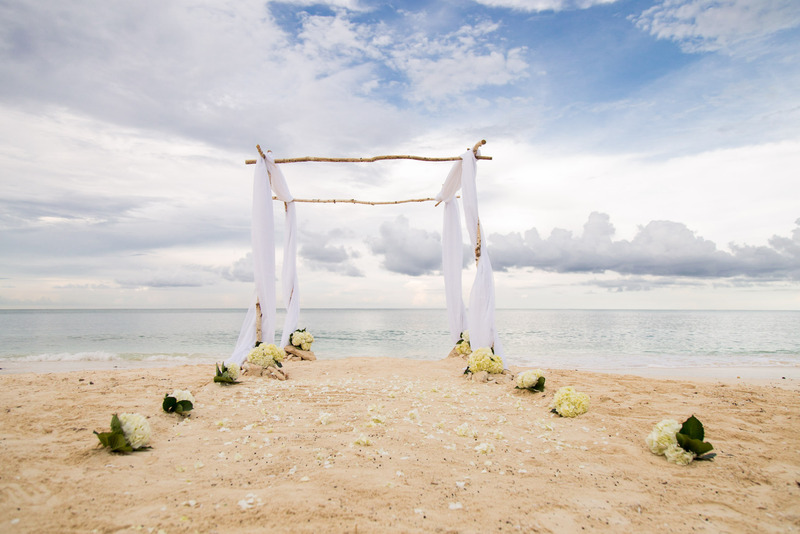 An intimate beach wedding was planned for Orange Hill Beach, West Nassau. Katerina chose to have no bridal party. On a slightly overcast day, September 27, 2016, Katerina and Simonas exchanged vows. The ceremony was performed by Rev. Dr. Reginald Eldon. The bride carried a bouquet of white hydrangea blooms. Following dinner, the bride and groom and guests dined at Sapodilla Fine Dining Restaurant. Serenaded by soft piano music in the lounge, everyone then moved to a private area in the main dining room to enjoy a sumptuous meal. Bahamas wedding photographer Bradisha Frazer of Cay Focus Photography documented the wedding. Adventure and travel did not stop in Nassau for this lively group. The entire group took in the a day’s trip to Harbour Island via Fast Ferry before heading back to Latvia. We wish this lovely couple every joy in their married life ahead! Chic Bahamas Weddings specializes in working with couples to plan Bahamas destination weddings anywhere in the Islands … South Andros, San Salvador, Russell Island off Spanish Wells, Staniel Cay, Exuma and any other place of your heart’s desire. We arrange all your needs from accommodations to food and beverage be it with private chef or otherwise, design and decor, live musicians, photography, cinematography, excursions and more. Contact us today to begin planning your Bahamas wedding! We’re delighted to help you. 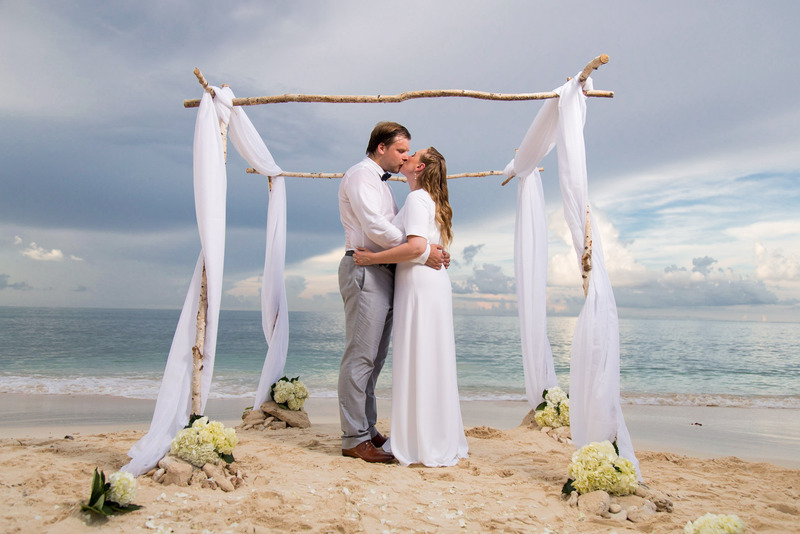 Our recent destination wedding took place in lovely Little Exuma on a no name beach. A reception followed at the Turquoise Cay Boutique Hotel, now operated as a private estate. Celebrated chef, Tim Tibitts, and his team catered the event. More to follow.